During the summer of 1967 (the “Summer of Love”) between sixth and seventh grades, one of my best friends disappeared, with his parents telling me that “He’ll never be back.” I didn’t know what that meant at the time, but now I know that his parents sent him off to a military academy in San Antonio, Texas. He’s a big-time banker in San Antonio now, so I guess he actually never did go back to our home town! 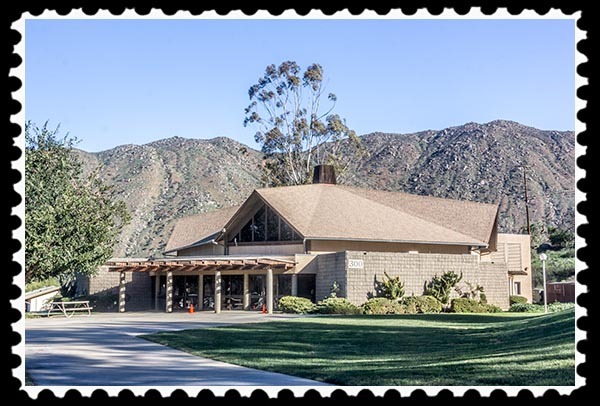 When I was up in North San Diego County a couple of weeks ago visiting the San Pasqual Battlefield State Park for my San Diego Historical Landmark series (see here), I found the San Pasqual Academy. I am always interested in schools because they educate the population. Notwithstanding how many Republicans would prefer the populace to be ignorant sheep doing what they say…. So I just zipped right on by that sign, through a huge orange grove, and onto the campus. Nowhere did I find any signs telling me that it was private property and for yo-yos to stay away. So I was driving around campus taking pictures of the beautiful buildings in a beautiful setting…. ….when I see a woman waving at me from a doorway…. Well, I was born and raised in South Texas—I’m a pretty laid-back, friendly person—so I waved back. That seemed to infuriate her. She came running out to my car and yelling at me. I stopped to see what the problem was. It was Sunday morning, so maybe there was an emergency that I could help with. “Well I know that! You can’t tell me what it does?” I asked. She sneered at me and told me to leave. “I’m leaving! 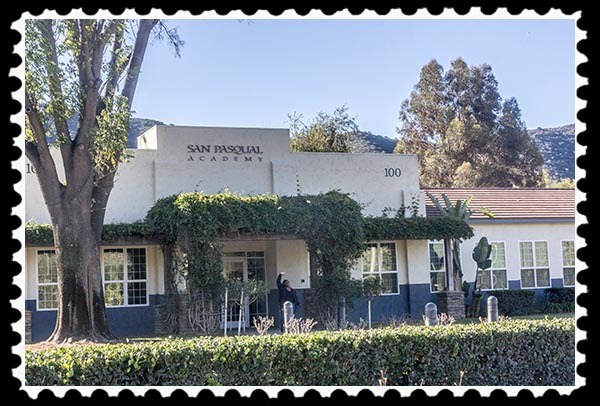 I have to go do a Google search on San Pasqual Academy.” She sneered again and pointed towards the exit. Yes, Google was informative, especially since it pointed me directly to San Pasqual Academy’s very own web site. Not so private after all…. 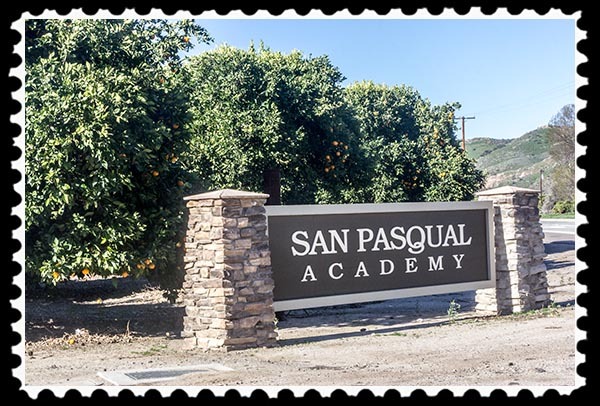 San Pasqual Academy is a first-in-the-nation residential education campus designed specifically for foster teens. 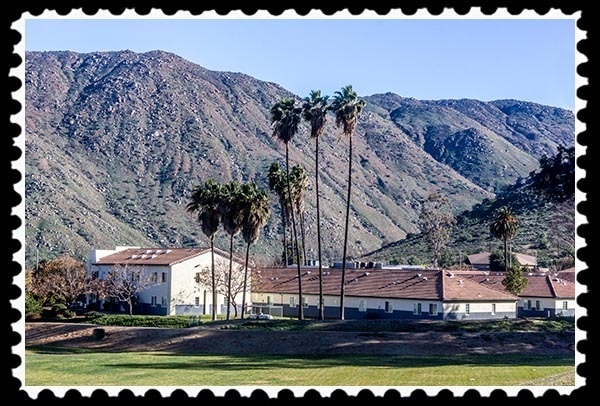 The Academy is located in Escondido, CA and provides foster teens with a stable, caring home, a quality, individualized education, and the skills needed for independent living. The Academy opened in October 2001 and currently has a capacity to serve 184 youth. 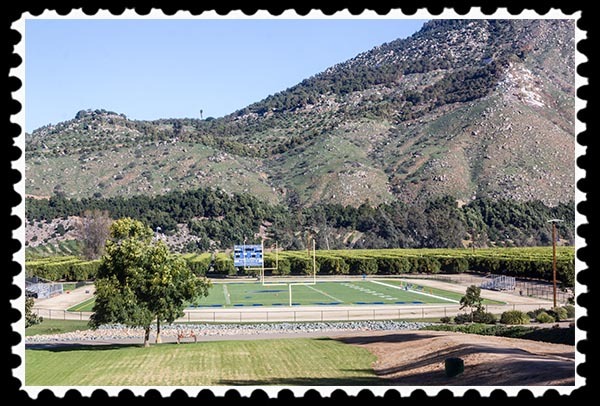 The 238-acre campus features individual family-style homes, an on-site, accredited high school, a cafeteria, a technology and career information center, an auditorium, recreation fields, a gymnasium, a Health and Wellness Center, a Day Rehabilitation Clinic, and a swimming pool. The San Pasqual Fire Department is also on the campus and provides internship opportunities for the youth. So why was it so hard for her to tell me? Is there something about foster teens that I don’t know about? Heck, I’ve spent 48 years volunteering my time and money to charitable organizations. If she had told me even half of what I found on their web site, I would have volunteered on the spot. As it is, she’s lost whatever volunteer time and charity money I might have been able to give the Academy…. And I feel so sorry for those foster teens if she’s an indication of what they have to put up with there. 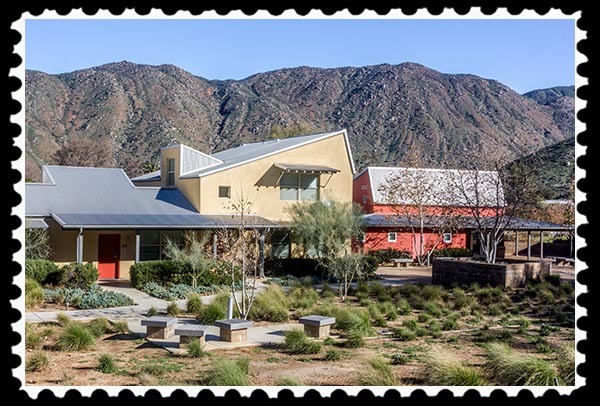 This entry was posted in Out & About, Photos and tagged san pasqual academy escondido california on February 3, 2015 by Russel Ray Photos. It’s beautiful spot, but you have to laugh at her less than friendly response….and as you say, suspect those stuck there get scowls, too? I’ve always thought it was cruel to send kids away to school — no matter what their age. In her defense (and only cos we’ve worked with the kids that go to that school and other foster youth) you aren’t supposed to take pics of them or of the campus to protect them from possibly being harmed by whatever circumstance or parent that caused them to become foster kids in the first place. We used to run a non prof with boats and couldn’t take pics of the foster kids for our brochures and they couldn’t be on TV when Ch 10/39 came to promote our program. I think they should have told you the reason why, instead of being rude, but it’s really to protect the kids. They’re not hiding anything negative. No, she did not have to be rude, but I’ve noticed that’s a default attitude with some people. I agree with you Russel. If this is what is there at the door of a place that cares for foster children, then maybe they need to re-think who they have working for them. I find this appalling actually. 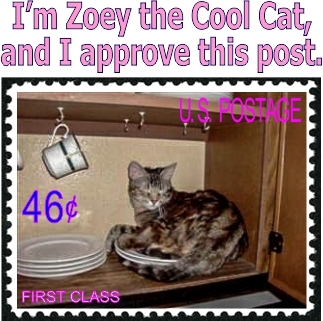 Thank you for your post! I’m hoping maybe she was just the Sunday morning help…………. Maybe just a little overprotective on a Sunday morning. Her intentions were probably good, but her delivery sucked. Yep. Especially for a Sunday, I thought. Well, that is an odd way to greet folks isn’t it? She could have been much friendlier and explained that they are responsible for minors and can’t have un-authorized vehicles on their property. I laughed at your quick response to her question. She wouldn’t give me the ‘safe and homey’ vibe either. Weird that there’s not a single kid outside. I shall now refer to you as the Cat Whisperer Russell. How the heck did you train a cat to ‘not’ go in or on things. My kitties still go there but jump down when I come around the corner, LOL. LOL…….Same way I used to train my dogs. She understands a loud “NO!” and a loud handclap whenever she’s doing wrong. It has to be immediate, though, just like with a dog. That’s negative reinforcement, though. I now know, courtesy of the “Pets Rule” show at SeaWorld, that positive reinforcement works, too.